This week we had to say goodbye to the gorgeous tree outside of The Benjamin Hotel. Severe rotting had been identified within the internal structure of the tree. 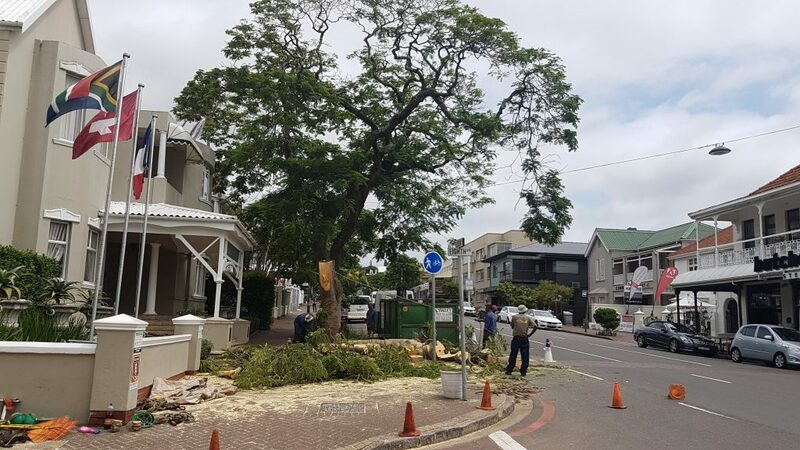 It was therefore advised that the tree be cut back to avoid any serious damage to property or injury to the public. Thank you to eThekwini Parks Department for attending to the tree felling.